This is the most popular and widely used dome in the Cupolex range.Used in both Residential and commercial applications the 260 can also bemodified to accommodate “POOR GROUND” with the addition of the Load Spreader which could save Thousands of dollars on site preparation. 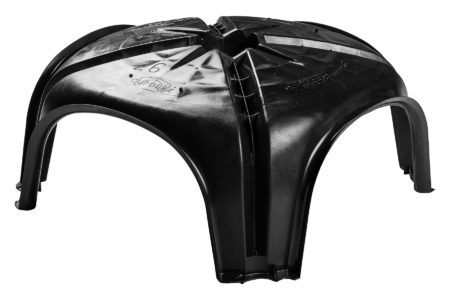 CUPOLEX® Plastic Dome Shaped Concrete Forms are stay-in-place forms to create unreinforced or reinforced concrete slabs on grade. Concrete is poured over the modular dome forms to create floating or structural grade supported slabs, partially supported or fully supported slabs on beam, piles or deep foundations. CUPOLEX® slabs use less concrete and reinforcing than a standard slabs with equivalent load bearing capacity. 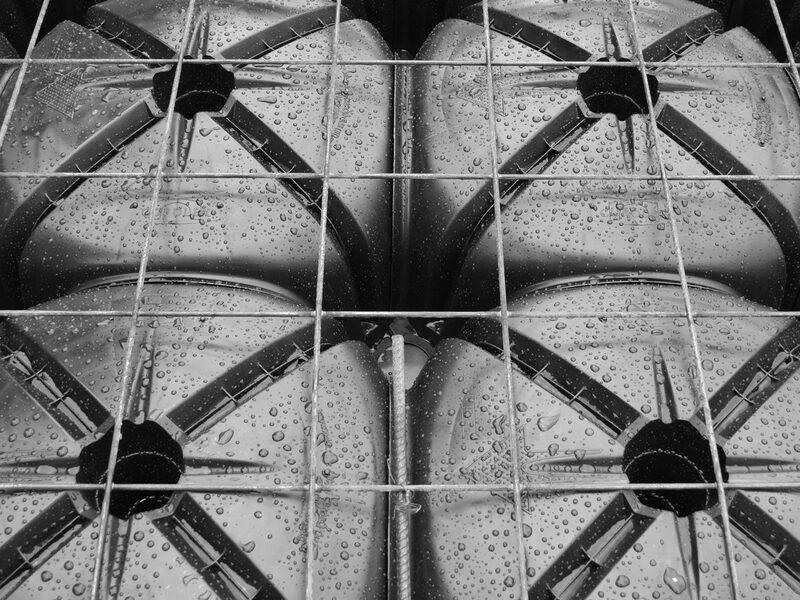 The unique concrete geometry Cupolex creates, forms an under slab void that can be passively or mechanically vented to remove moisture and soil gases, protecting buildings against the ingress of harmful soil gasses. 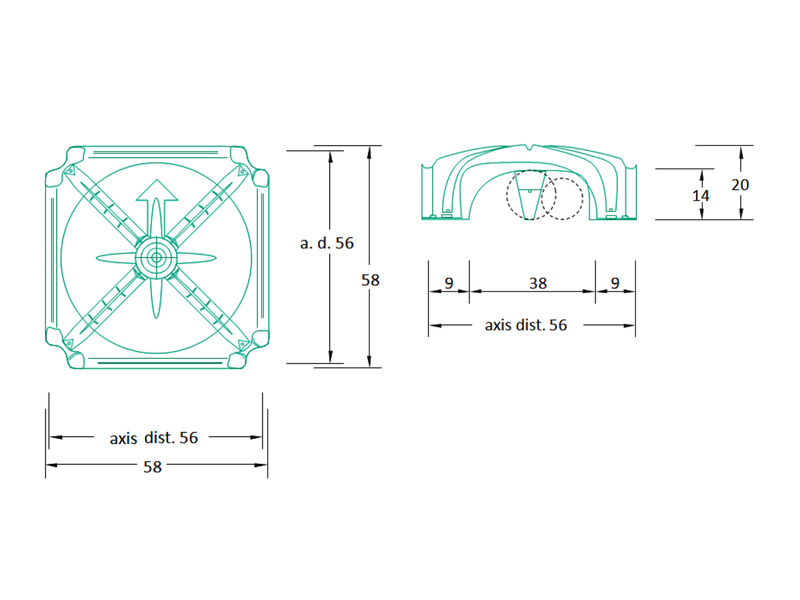 CUPOLEX® Patented Forms have a unique connecting feature. 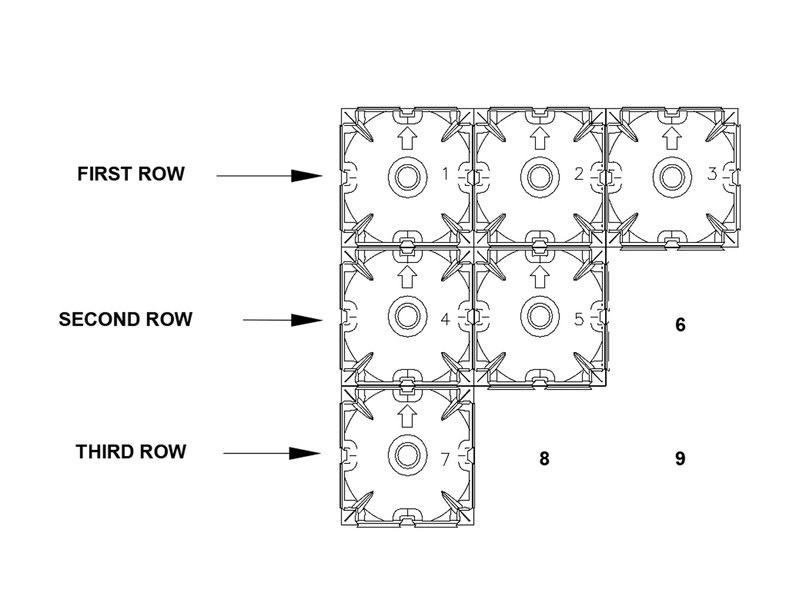 Only, CUPOLEX® forms additional built-in plastic at all pressure point locations and a central reinforced cone support of height equal to the element positioned in correspondence of the central region, guarantees the absorption of vibrations which occurs during the finishing of the CUPOLEX® aerated concrete floor slab. Can be installed on any resting surface – soil, gravel, etc. Made from 100% recycled Polypropylene (PP) plastic, the CUPOLEX® forms provide the maximum performance and guarantees superior characteristics of stability and resistance in its structure to allow operations that are completed directly above the plastic CUPOLEX® elements before and during the placement of the concrete. CUPOLEX® Forms are molded in a variety of depths to deal with different levels of Vapor emission and for different depths of fill requirements. The Beton Stop is simply an adjustable concrete stop end. 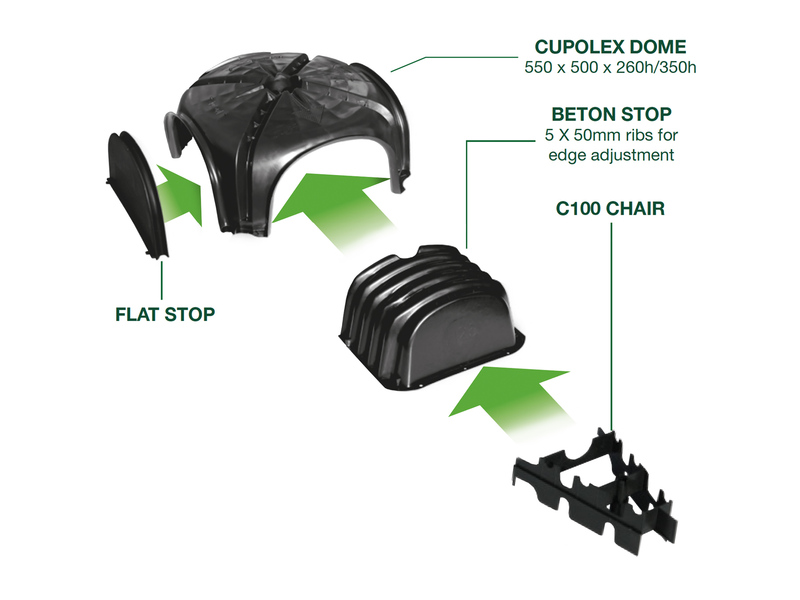 Simply fits where Betons are not required and encloses the Dome on the outer edges. The C100 Reinforcing Chair is used for Edge beam steel. Get out of ground on the right footing with Cupolex. 5 Northe Street, Marewa, Napier 4110. © Copyright 2018 Cupolex. All rights reserved.